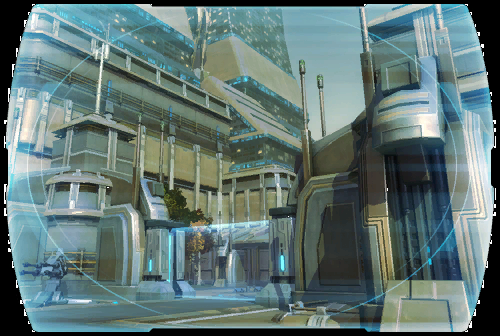 A fortress without equal, the Bastion has stood as a center of Republic military planning and analysis for centuries. Massive subterranean databanks contain information on every strategic asset at the Republic's disposal (official or otherwise) as well as extensive data on every species, government and organization in the known galaxy. Before the onset of the Great War, the Bastion's databanks were used to support elaborate simulated war games, with the military's top officers attempting to use the documented resources in unexpected ways to better prepare the Republic for any threat that might appear. Unfortunately, none of these scenarios even approximated the savagery and brilliance of the Sith Emperor's grand invasion plan.